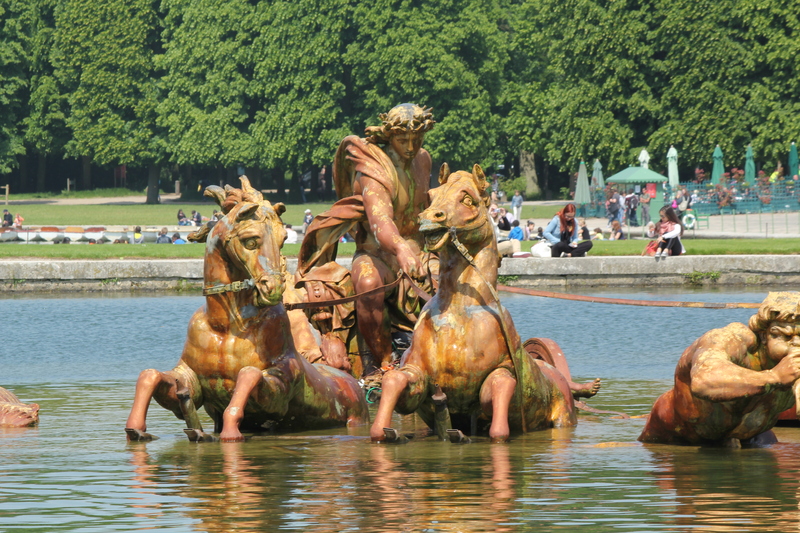 So far in my trip to Europe, I’ve visited palaces in Stockholm, St. Petersburg, Pushkin, and Copenhagen. 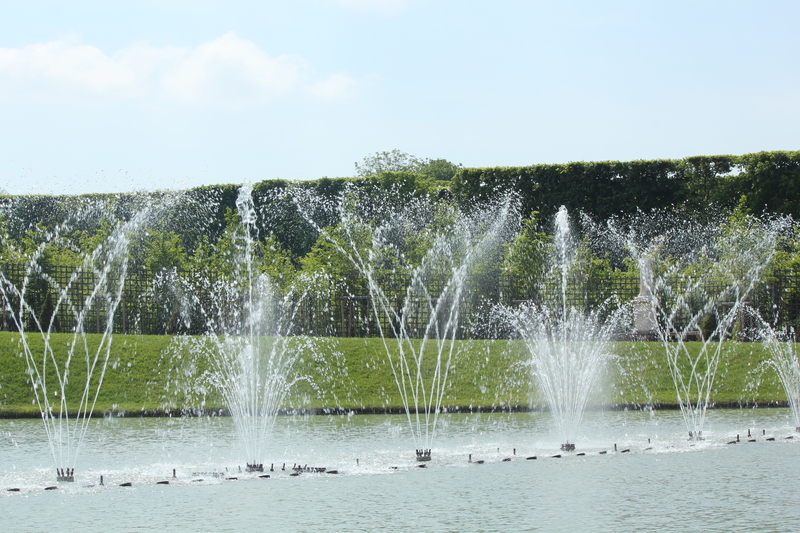 While visiting the palaces in Russia, the tour guide commented many times about the influence of Versailles. So, I felt I had to see the “original” or the inspiration of so many other buildings. 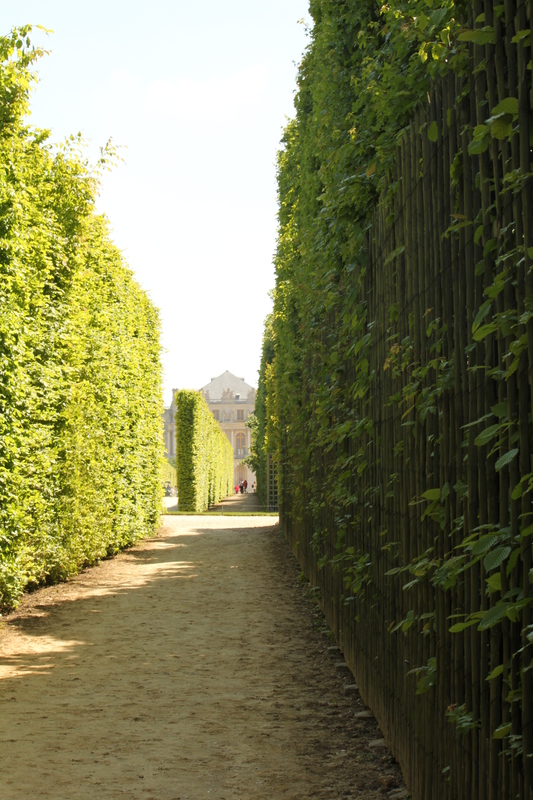 Getting to Versailles is very easy. 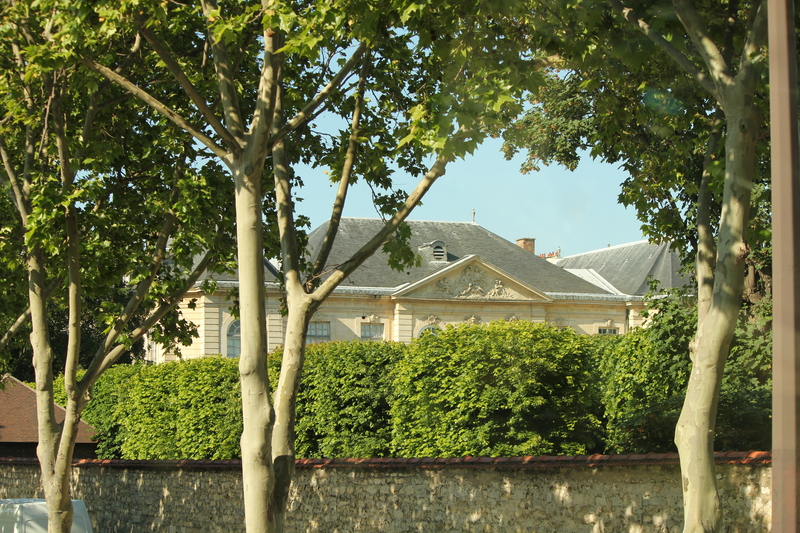 The RER C line has a direct route – you just need to remember to get on the train that lists Versailles Rive Gauche as the last stop. 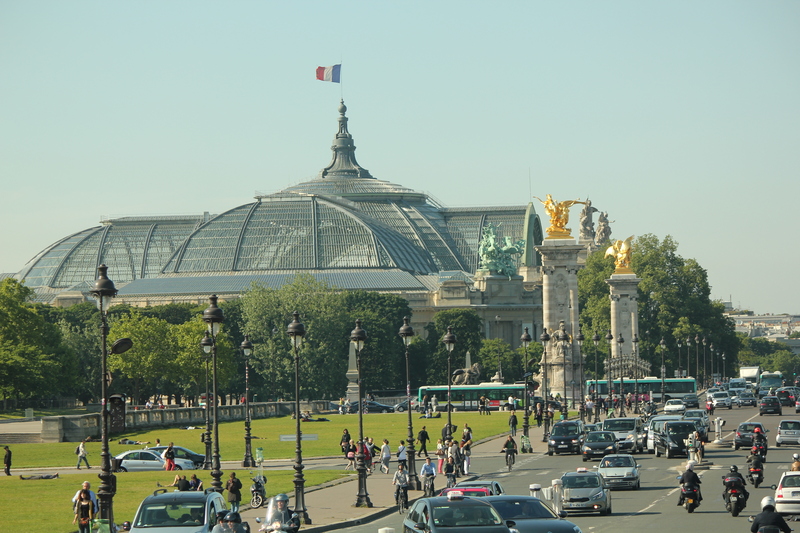 At least, that is how it was supposed to work, however, for some reason, the train stopped before Versailles and we had to change to another one. But, that posed to not be a big problem, just a little confusing. 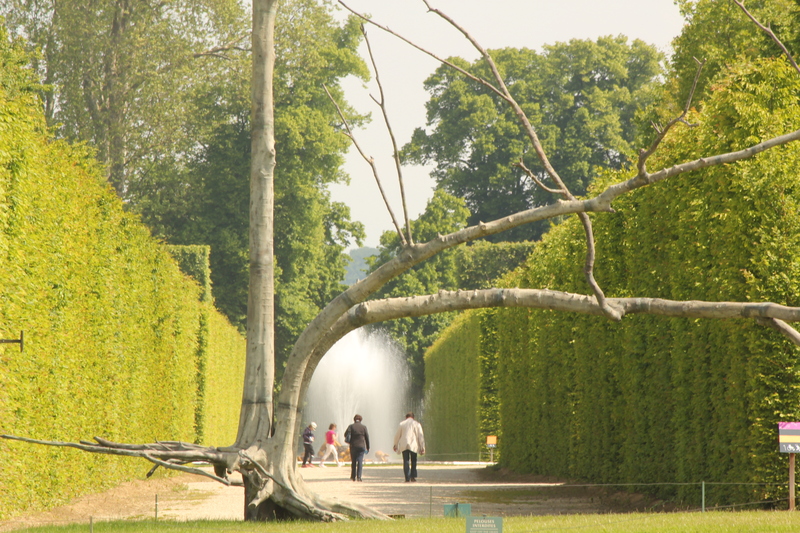 At the last stop, it is very easy to find your way to Versailles – just follow everyone else! 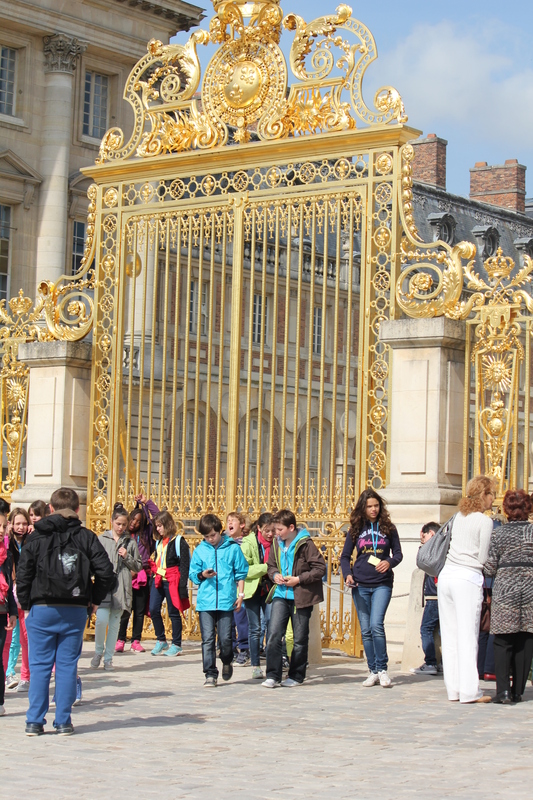 Versailles gets nearly 10 million visitors a year, so the lines are long, even with a Museum Pass. 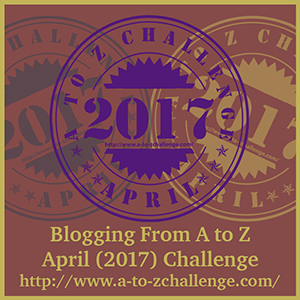 It is easier to already have a pass or a ticket because that does save at least one line. 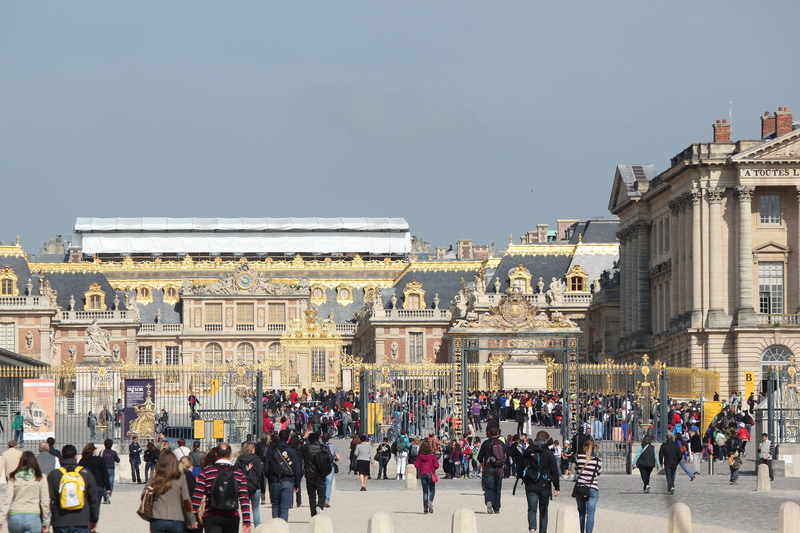 I don’t think I was prepared for the size of Versailles. 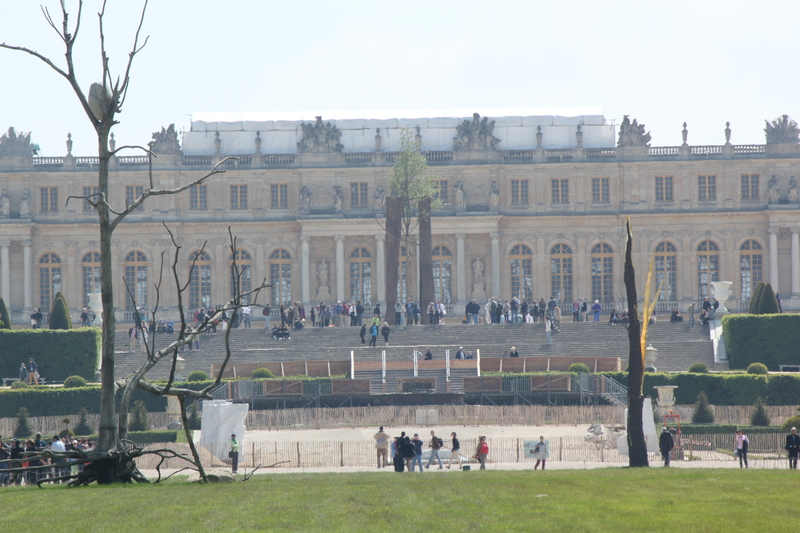 I thought the Russian palaces, like Peterhof or Catherine’s Palace, were large – but standing in front of Versailles, they now seemed more “liveable!” (if that makes sense). 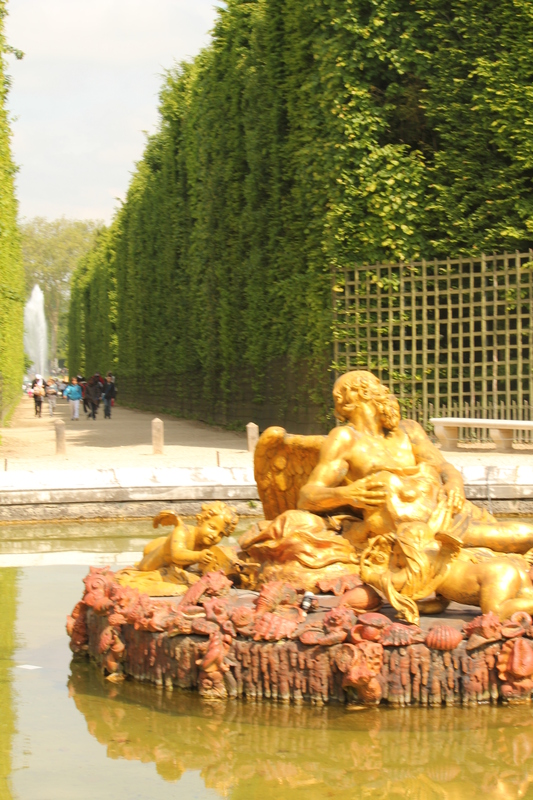 Versailles is grandiose – shining and golden and just “over the top.” No, I was NOT prepared! 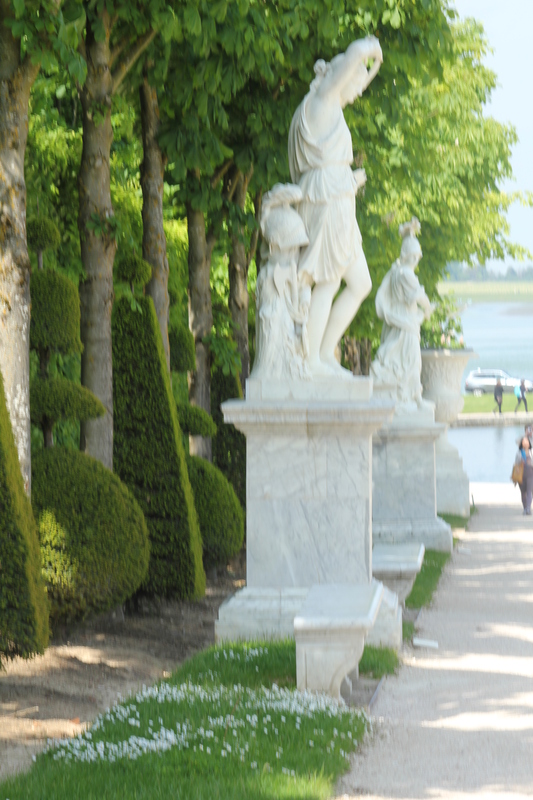 Then I looked out a window and saw the gardens – and I had to go outside. 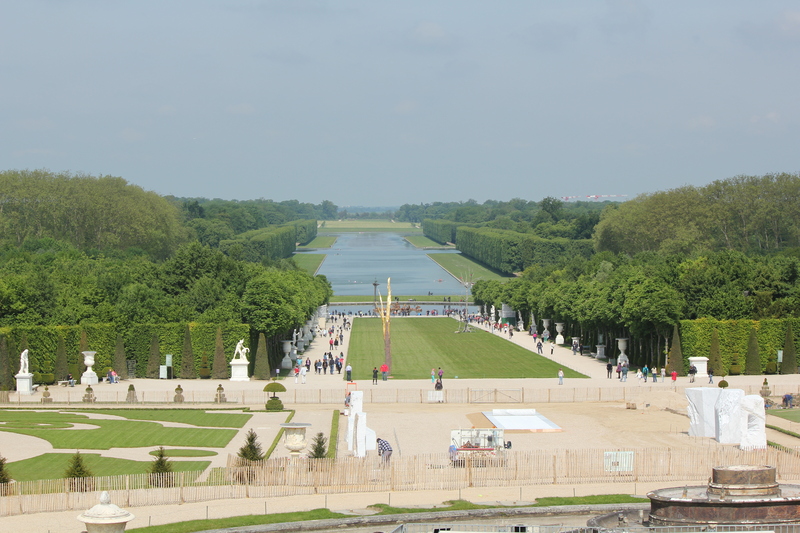 The gardens are also on a grand scale and match the palace. I was also in for a treat, as they were doing a special “musical fountain” where there were different fountain displays matched to music. So, map in hand, I started my investigation of the gardens. 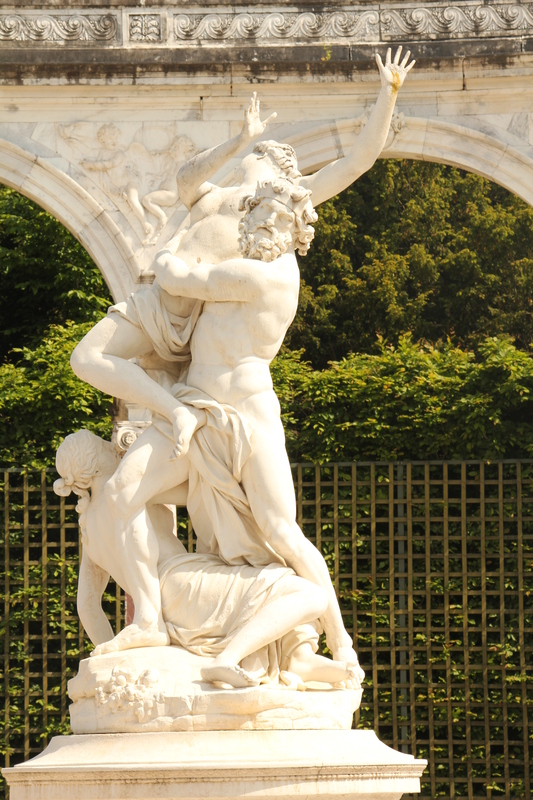 The gardens also have one of the largest collections of outdoor sculptures – so there were many things to distract me! 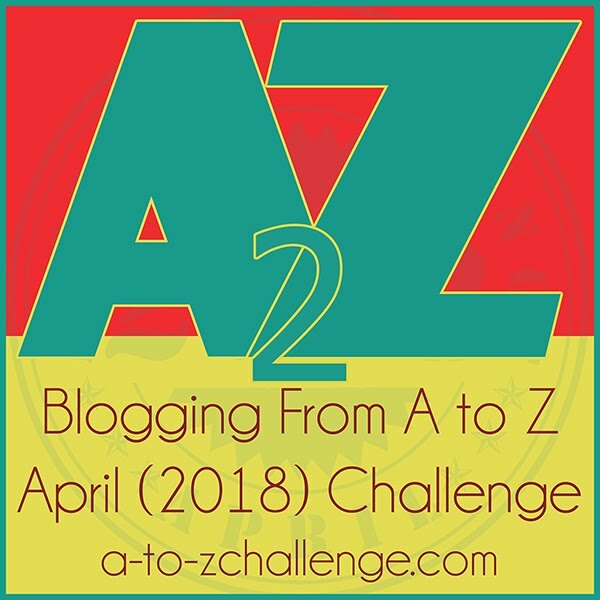 I made my way down to towards the “canal”, then started to weave through the hedges that stretched upwards and created secret bowers and more fountains and statues. It was easy to get lost – even with a map. Then, of course, I dropped my map as I was taking pictures of one of the “dancing fountains.” But I got to enjoy a really cool show to amazing music! 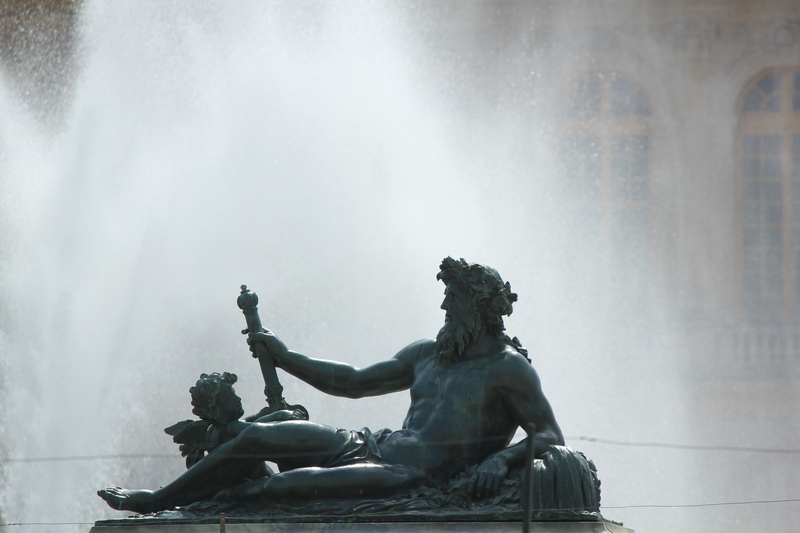 Slowly, I found my way out of the tall hedges and headed down to the area known as “little Venice” and the Neptune fountain. I got there just in time to see another musical fountain display – so my timing was great, but I was also starting to feel the sun – even with the tall hedges, there did not seem to be much shade in this garden. In fact, I found that I missed the fun that was part of the gardens at Peterhof with its hidden groves and trick fountains. 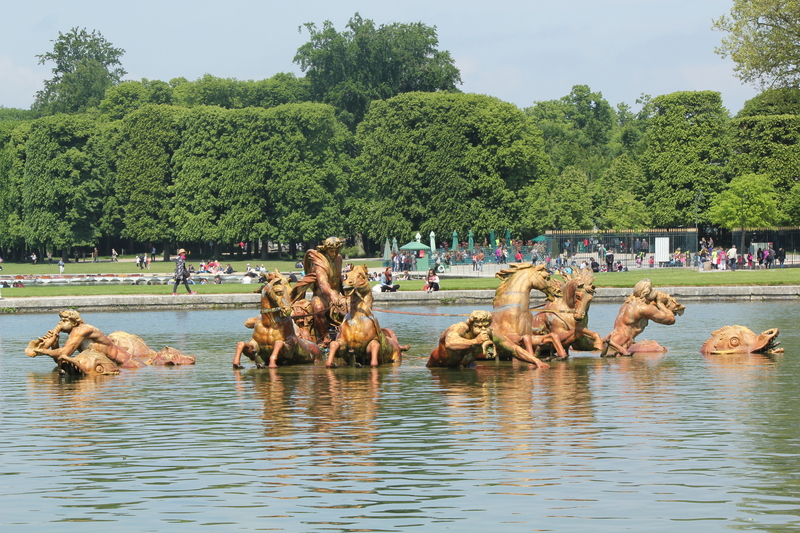 There was a sense of “fun!” The Versailles gardens seemed to be more about how to impress or even overpower. I did not feel comfortable. Maybe I should have gotten one of the golf carts you can rent to drive around the space (yes, it is large enough for golf carts to get you from one end to another). 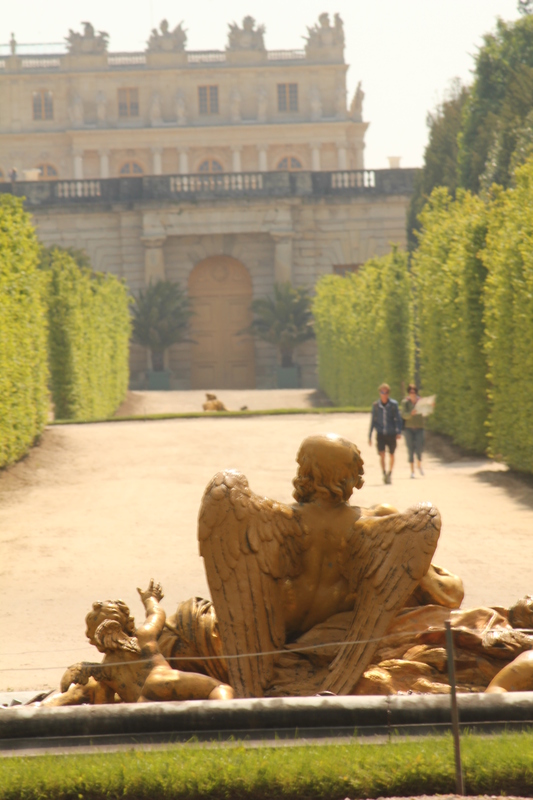 I slowly made my way back through the garden to the palace, very tired and ready for my trip back to Paris. 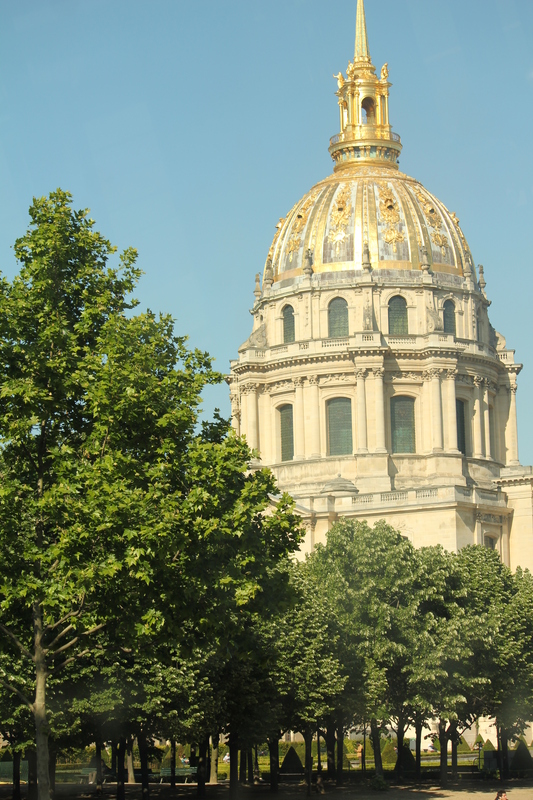 Once back in Paris, I decided to see the city from a different angle – from the Seine. 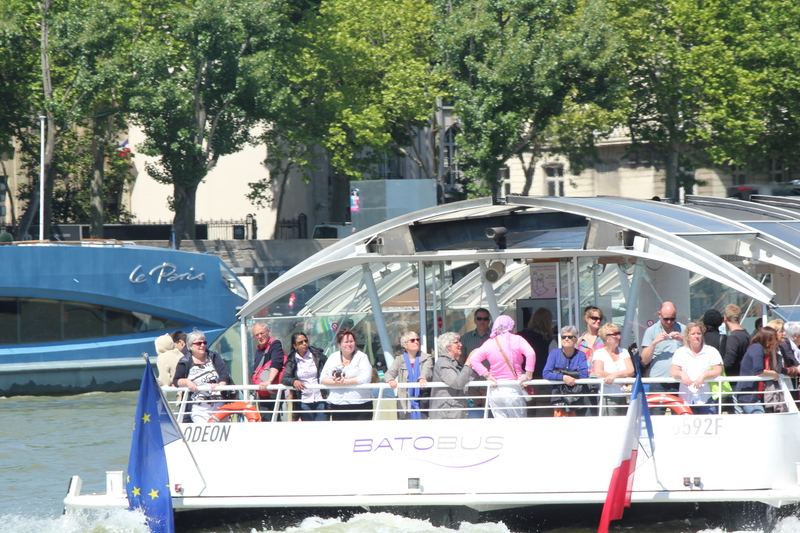 I hopped on one of the Batteaux Parisiens. It was nice to be back on the water and see Paris from this vantage point. A nice salad and another walk through the Latin Quarter filled the rest of my last day in Paris. I ended it at the café near my hotel on Rue Cler. It was nice to go someplace familiar and to have them recognize me. My last dinner was duck confit, wine and ended with a nice cup of espresso. As I walked through the city, I started to feel a bit of melancholy. My trip was coming to an end and there was still so much I wanted to see and do (and I had no plans for any future trips).